Everyone has a vision of their dream home, complete with all of the exotic and awe-inspiring features that could only come about in our wildest dreams. Of course, in reality, some of these resort-like characteristics don’t exactly make sense or fall outside of our budget, but there’s absolutely nothing wrong with fantasizing on occasion. When it comes to your bathroom, however, there are some pretty brilliant improvements you can make to your current setup. 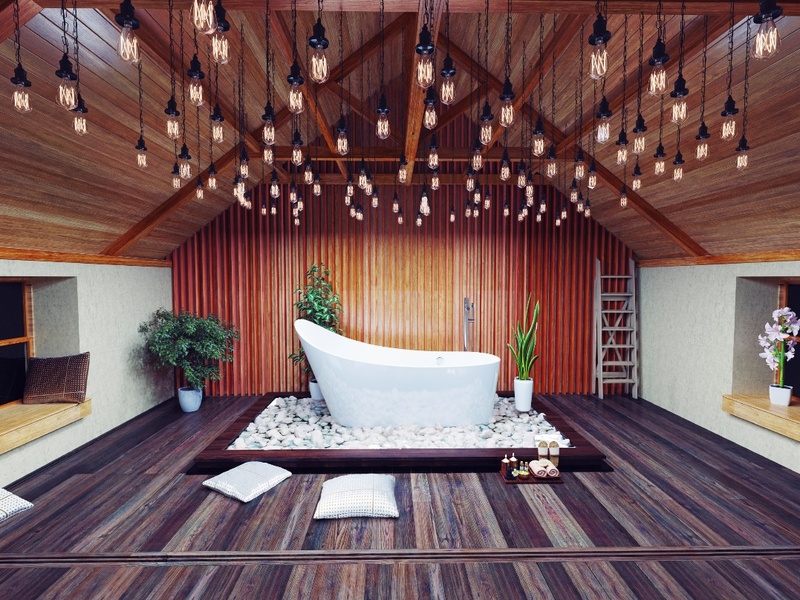 So, momentarily ignore the need for a humble budget and take a look at this list of fantastic bathroom luxuries that might have you considering a remodel. A hot shower can be extremely rejuvenating, and there’s nothing wrong with an ordinary shower design. However, there are a few adjustments you can make that will take your daily shower routine to an entirely new level of luxury. For starters, you can take a more simple approach and add a detachable shower head with adjustable settings. These may not be the most exotic features in the market, but they can make your shower seem all the more luxurious. If that isn’t enough, you can take another step to improve your shower by adding a steam element. A steam shower in your own home can make every shower feel like a trip to the spa, and you will feel cleansed and refreshed with each use. So if you’re going for a shower remodel, consider making these changes and before you know it your ordinary shower routine will feel like a getaway at a high-end resort. If you can’t stand the feeling of stepping out of a hot shower or bath onto cold tile, then maybe it’s time to make a change. You can install heated floors in your bathroom to eliminate this problem. This can be the perfect touch, especially if you live in a cold climate where your steaming bath is spoiled by the frigid temperatures that follow. To take it one step further, add a heated towel rack to keep your towels nice and toasty when you need to dry off. Because, after all, nobody wants to step out of their state-of-the-art steam shower and watch their new in-mirror television while drying off with a room temperature towel. While this may be a lot to ask, it’s safe to say you’ll most likely be quite pleased with your bathroom setup if some of these amenities were included. Adding even one of these bathroom luxuries will have you feeling pampered every time you use your bathroom or tub, so consider these fantastic upgrades and you can be on your way to the luxurious bathroom you’ve always dreamed of. Finding the right plumber might not seem like a top priority, but it’s something you’ll be glad to have in case of an emergency. 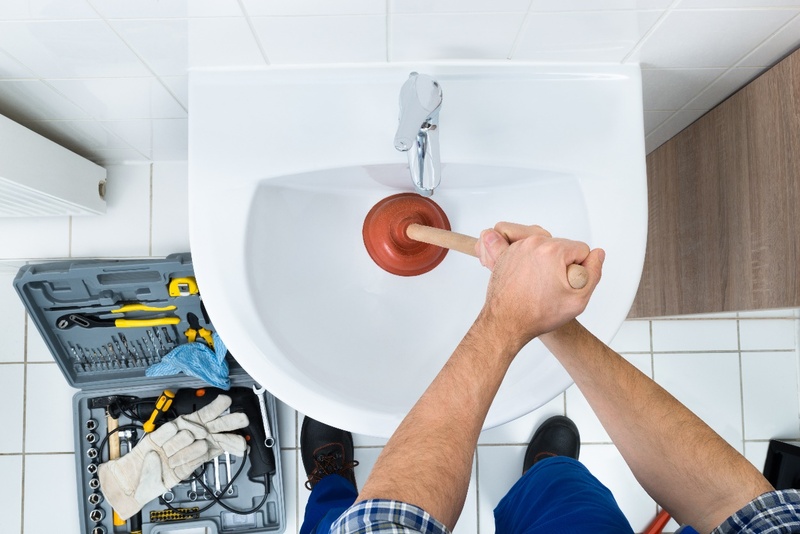 Although it’s common to neglect this necessity until it’s too late, finding a plumber ahead of time will give you plenty of time to conduct proper research and find the plumber that’s right for you. It’s important to have a trustworthy plumber who can solve any problems with your toilet, shower, or sinks, whenever you need him or her to do so, and you’ll be able to rest easy knowing that you’re receiving top-of-the-line assistance without being overcharged. These are a few basic guidelines you can follow when searching for a plumber, so that if a problem does arise, you can count on a professional to deliver the best possible service. These days, you can find online reviews for almost anything. This holds true for plumbing services, so if you’re searching online for a plumber, it’s wise to look into the reviews people have written about them. As with anything, you’ll want to look for services that have a decent amount of detailed reviews that are mostly positive. Of course there will be the occasional negative review, but look into the nature of that review and evaluate the severity of the complaint. Also, in the case of a negative review, look into how that plumbing service responded to the complaint. A company that responds to a negative review with an apology is demonstrating that they value their reputation, and a company that feels this way will be less likely to send out a careless plumber. 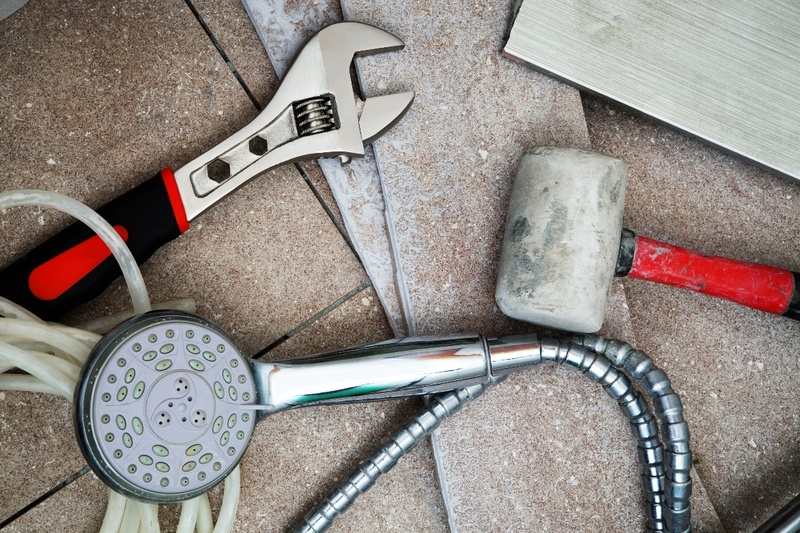 If you’re unconvinced by a plumbing company’s advertising or online presentation, then you can ask around to see if any neighbors or friends have used this same plumbing service. If the area in which you live offers an online forum intended to keep neighbors in the loop, ask if anyone knows of a dependable plumber. This way, you’re not taking a shot in the dark at finding someone you can count on. Similar to the “reputation” section, you can also look into some online postings about certain plumbing services and see if anyone has had a similar job done by them. This will provide you with some background on a plumber before hiring them. Word of mouth can be a very effective means of confirming the reliability of this type of service, so look for people who can attest to the quality of service delivered by a plumber before hiring one. Finally, you should check to see that the work the plumber does is guaranteed. This implies that if something should happen, the job you paid for will be finished. For example, if the original plumber is unable to finish the job, a guarantee will ensure that they will send somebody else to complete the task. This can also mean that they’ll guarantee an effective job, so that you don’t pay for a plumbing service without actually getting a solution. In many cases, a plumbing company or an individual plumber will belong to a larger organization that implements a code of service and can ensure quality service. Also, you’ll want to make sure you aren’t overpaying. In order to avoid this, do some research to see how much the job you’re requesting ordinarily costs. Then, when you go to get a quote, see if the price matches or comes close. A trustworthy plumber won’t try to make a profit by charging you thousands for what should have been an inexpensive job. When you find a plumber you can rely on, both for quality service and reasonable pricing, you have found your go-to plumber. Hopefully these tips have been helpful in guiding you in the direction of the perfect plumber. While you may not have the opportunity to do extensive research before hiring a plumber, ideally you’ll have a little time to look into some of these details in the case of a plumbing emergency. However, it’s best to not wait until you’re in a panic, so if you have some spare time, get to searching and track down a dependable professional today! Remodeling a room in your home can be a challenging and complicated process. Usually, you’ll have to perform a significant amount of demolition before you can rebuild, and it’s important to know how to do this effectively so you won’t cause any unwanted damage. In regards to the bathroom, one of the most puzzling parts of the remolding process is how to remove a vanity. Typically, a bathroom vanity is sealed and secured to the actual structure of the bathroom, including the plumbing, which can make removal especially tricky. With these basic tips, you’ll be on the right track towards properly removing your vanity. First and foremost, you’ll need to shut off the water supply before you can remove the vanity. In order to do this, you’ll need to reach underneath the sink and turn the hot and cold-water shut-off valves. Next, you’ll want to disconnect the water supply lines by using a wrench to remove the nut that holds the water supply line to the shutoff valve. This process can get somewhat messy, so it’ll help to have a bucket close by. Finally, you’re going to need to disconnect the waste drain. This can be done either by hand or by using a wrench or pliers, depending on the material of the waste drain, which will typically be either PVC pipe or chrome. Now that you’ve taken care of the water supply, it’s time to remove the vanity from the wall. In some cases, you’ll need to start with the mirror. If the mirror rests on the vanity counter top, then removing the mirror first will be necessary, as it can crack when the vanity is removed from the wall. Once this has been addressed, you’ll want to detach the vanity counter top and cabinet by using a utility knife to cut through the caulk joint adhesive that holds the vanity to the wall. It’s important to be both cautious and patient during this process, as you’ll want to avoid cutting into the drywall. The goal here is to carefully undo the attachment between the vanity itself and the wall of your bathroom, as well as between the vanity top and cabinet. At this point, all that’s left is the removal of the main components of the vanity from the room. First, you’ll remove the vanity top from the sink base. Usually, this will be a fairly easy process and the top will be removed smoothly with the adhesive cut. However, in some cases, the vanity top will be attached to the bottom by clips, which you’ll need to loosen before removal. Once the vanity top has been disconnected from the base, it’s time to remove the sink base cabinet. Check to see where the cabinet is attached to the wall, which is generally done with screws or nails, and carefully remove them. Once you’ve done this, you should be able to remove the sink base cabinet from the wall with ease. Once you’ve hauled out the vanity top and bottom pieces, just plug up the drain pipes, scrape off any excess caulk, and you’ll be all set. 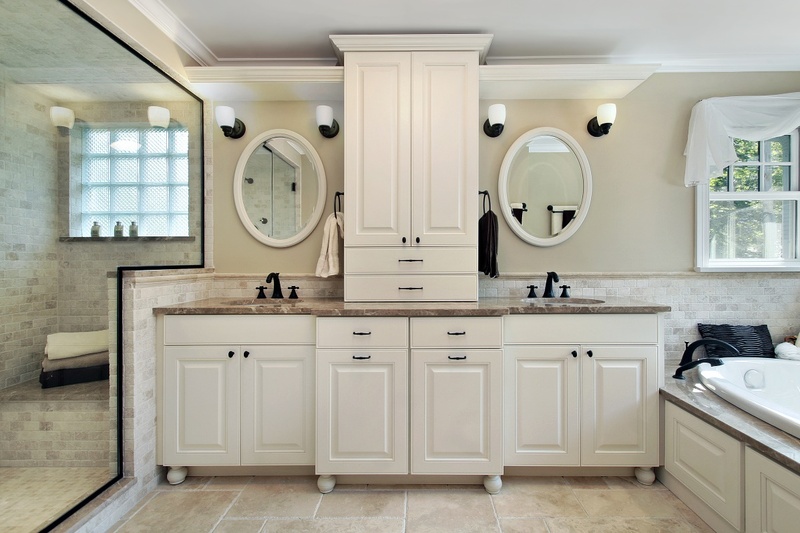 With these tips, you can be well on your way to properly removing your bathroom vanity in time to begin your remodeling process. Good luck! Let’s face it: a messy bathroom can be a headache for you and your guests. Regardless of its size, things can quickly get out of hand if you don’t have an organization system set in place. While it’s common to store a great deal of daily-use personal items in your bathroom, it’s important to have a designated place for these items. If you don’t, your bathroom can quickly end up looking cluttered or disorganized. Since most bathrooms only have so much space for storage, try implementing storage bins into your bathroom’s organizational layout. Storage bins come in all different shapes and sizes, and can be used for a wide range of purposes. In your bathroom, storing smaller toiletries in a storage bin is easy – but what about the larger items? Larger items, such as towels and linens, can easily be kept in a storage bin of the right size. So, if you’re tired of storing your towels in a different room, purchase a storage bin of the right size and you’ll have access to neatly folded towels without ever having to leave the bathroom. If you’re concerned about the bulkiness of a storage bin, try using a wicker basket that can hold four or five towels. Make sure the basket or bin is easily accessible, in case you or a guest needs to grab one while in the shower. You can even get a smaller basket for hand towels and dry wash cloths. This way, you’ll have a place to keep your towels or other larger items that’s sure to fit in with almost any bathroom’s decorative layout. You’ll need to find a storage solution for your medium-sized items as well, such as blow-dryers, hair straighteners, or curling irons. For these items, you can search for a slightly smaller bin. If you have space for it, you can place this bin underneath your bathroom vanity. That way it’s not out in the open, but is easily accessible whenever you need it. You can even use a separate bin for other items you might ordinarily store underneath the sink, such as bath tissue, lotions, and hair products. The key with these items is to find a medium-sized storage bin to keep them grouped and organized, keeping similar items together, and condensing them so that, if you’d like to, you can store them in a cabinet in your bathroom. At this point, it’s time to find a solution for your smaller items. The best way to keep these items organized is to categorize them. For example, you will want to keep all of your beauty products together. In this case, you can search for a smaller basket, perhaps another wicker one for decorative purposes, and place your makeup, lipstick, or perfumes in there. You’ll find that some smaller wicker baskets come with a top piece that serves as a lid that will help this bathroom addition look even more subtle. You can find a similarly sized basket for your hair items, such as brushes, combs, and styling products. Since these are smaller items that will require fairly small storage bins you can keep these items on your bathroom counter. As for the smaller items that will go in bathroom drawers, such as dental hygiene products or shaving cream and razors, you can look for a smaller plastic storage basket that will fit in a drawer. This organization helps you keep everything grouped together and manageable. If you know that your related products are stored neatly in the same container, you’ll know exactly where to look to find the object you need. Nobody wants their bathroom to look like a disaster, especially if you have guests over frequently. Regardless of the size of your bathroom, you’ll need to designate a place to keep a wide range of your daily items. Fortunately, storage bins are the perfect solution. With these tips, you can establish an organized system and be well on your way to creating a very neat and clutter-free bathroom in your home.